I doubt there is a contractor out there who does not own a reciprocating saw. This tool is one of the handiest and most efficient piece of equipment you could have. It is versatile since it can suit every degree of craftsmanship. A reciprocating saw can be used as a pipe cutter, fine-finishing saw, demo saw, conduit cutter, drywall saw, pruning, cutting nails, making patterns and so much more. It is this ability to fit a broad range of blades which it has claimed the top in many wishlists of property owners and remodelers. 1 What are the features of a reciprocating saw? 2 How does a reciprocating saw work? What are the features of a reciprocating saw? We all know there are different types of saws. 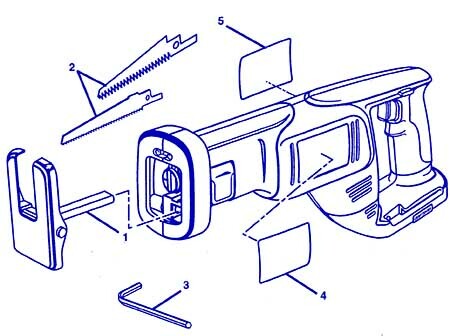 To identify a reciprocating saw, you need to be familiar with its features. Usually, it has a large, cutting blade that can be removed depending on the material being cut. Different blades can be fitted to cut different materials such as fiberglass, wood, steel, drywall and even piping. The reciprocating saw also comes in various design and may, therefore, be wireless or have a cord. This saw is operated using both hands and has a back handle for easy use on vertical work surfaces. A reciprocating saw usually has a speed control feature. This enables you to make variation the cutting speed to what suits you best. It also has an adjustable shoe to allow the blade to cut in different depths and increase space of saw and cut. 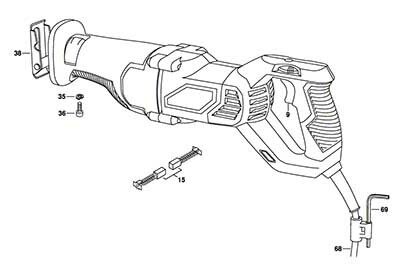 Some models come with an electric brake, meaning once the trigger is released the blade stops cutting. How does a reciprocating saw work? With the right blade hooked to the saw, it cuts in either forward or backward movement. It is important to wear protective when using the saw and observe other safety tips. These come in the operators guide. However, the saw is not very precise in its cuts. -Whether it’s cordless or not; a wireless reciprocating saw is portable, but when it comes to power strokes it is less reliable compared to a corded one when it comes to complex jobs. – The ratings of the saw by other people. When you look up a reciprocating saw online to fit within your budget check for reviews and ratings from other people. Go for the saw that has a rating of 4 stars and above. – The size of the saw, this usually goes hand in hand with the material you wish to cut and also how often you’ll be using it. For example, contractors who use it often need a heavy duty, bigger compared to the one a property owner will buy. When you finally get one test it before paying for it. The DEWALT DWE304 10 Amp Reciprocating Saw features a powerful 10.0 amp motor designed for heavy-duty applications. 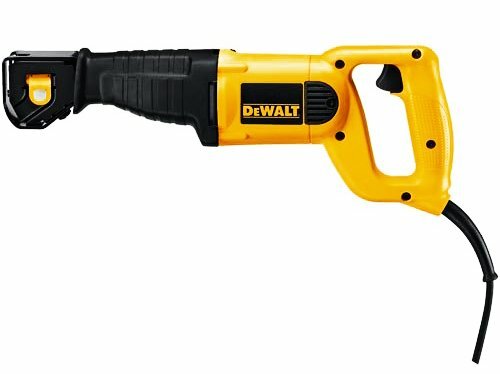 One remarkable thing about DEWALT DWE304 10 Amp Reciprocating Saw is that it can be used for different things. Because of multipurpose use, it is a device with the versatile application. The saw can be used to cut nail embedded wood and other types of wood. 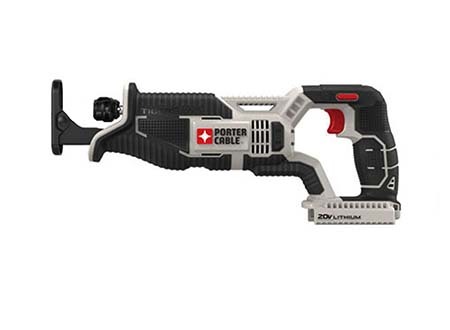 As an occasional use tool Porter Cable PCC670B 20-volt MAX Lithium Bare Reciprocating Tigersaw is great. The blade travels much further on this tool. This saw is very handy for quick jobs. This tool is lightweight and comes in a compatible size helping you to perform your task effectively. This PCC670 model features a very powerful motor that has a variable speed trigger. The ONE+ Reciprocating Saw delivers more productivity and better ergonomics for more control. It is ergonomically designed for comfort and minimal fatigue. 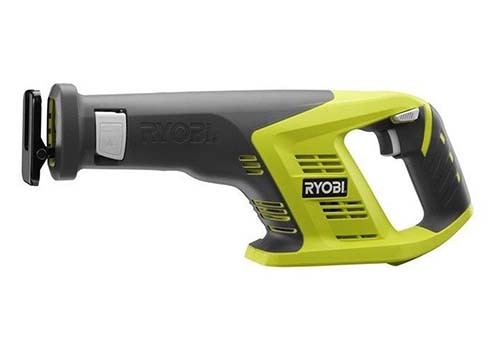 To avoid accidental slippage, numb fingers, or excessive sweating, the Ryobi P515 ONE Plus 18V Cordless Lithium-Ion Reciprocating Saw features the renowned Grip Zone over the mold. Ryobi comes with an adjustable pivoting shoe to minimize vibrations and shocks. 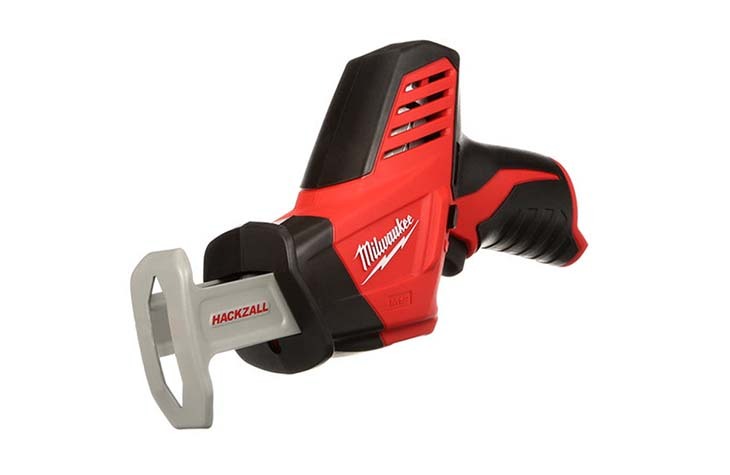 Bare-Tool Milwaukee 2420 20 Bare-Tool 12-Volt Hackzall Saw is an extremely useful device for cutting in cramped quarters, especially nice when working above your head. Its 12-volt lithium-ion battery offers longer run-time and fade-free performance. Another important feature is battery fuel gauge that displays remaining run-time and its built-In LED light illuminates to work surface. This saw is considered as one of the best reciprocating saw under 100.